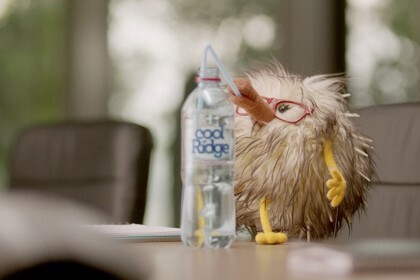 In the second instalment of the new Cool Ridge campaign, BMF Melbourne and Schweppes Australia reveal how CEO Wombat and his team of dedicated ‘marketing experts’ were inspired to create a sparkling water range. We again find the Cool Ridge team busy ‘brainstorming’ in the boardroom. CEO Wombat inspires the group in his typical self-backslapping style of leadership. The animals chime in with questionable ideas, except Koala who is busy doing what he does best… sleeping! His sleepiness turns out to be his greatest attribute. Carlos Furnari, Creative Director of BMF Melbourne said: “Some people like their water still, some people like it with bubbles – or as Platypus would say: “Bublé”. Bo Jakubenko, Brand Manager for Cool Ridge at Schweppes Australia said: “Cool Ridge is all about bringing a bit of fun into the water category, and not taking ourself too seriously. The latest ‘Crafted by nature’ TVC aims to do just that – tell consumers we now have a lightly sparkling range, but deliver this message in a lighthearted way. The Cool Ridge campaign comprises TV, outdoor, POS and social media. 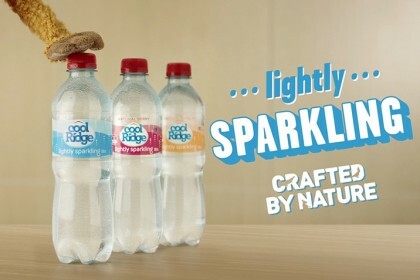 A third commercial in support of a new, naturally flavoured water will follow later this year.